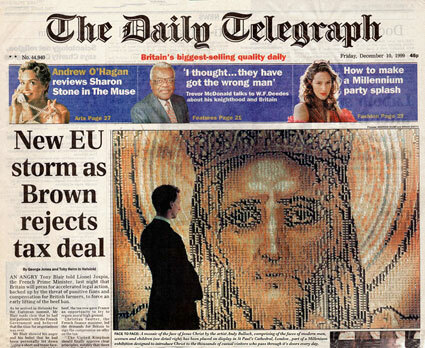 this large scale piece (10ft x 7ft) was commissioned for the millennium exhibition at St Paul’s cathedral. It consists of hundreds of portraits i made of visitors to the cathedral over a three day period. permanent collection.